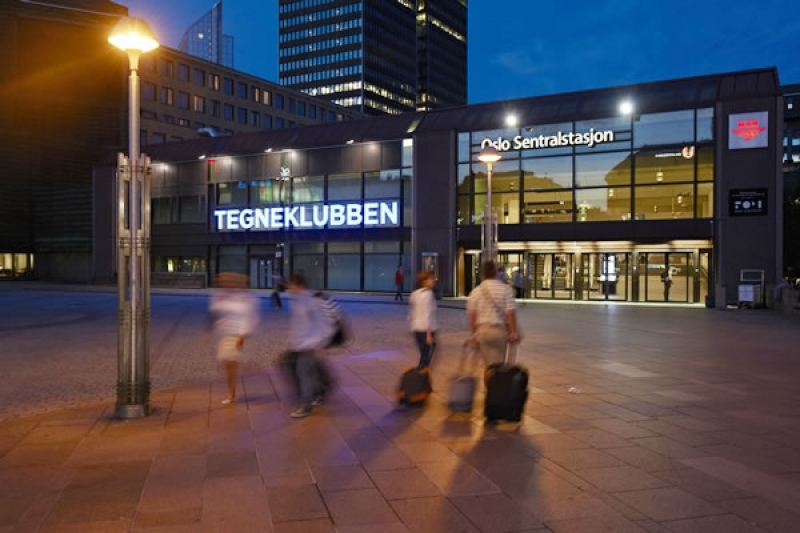 Tegneklubben at Oslo Central Station is an art project commencing on 21st June and runs until 15th August 2012. 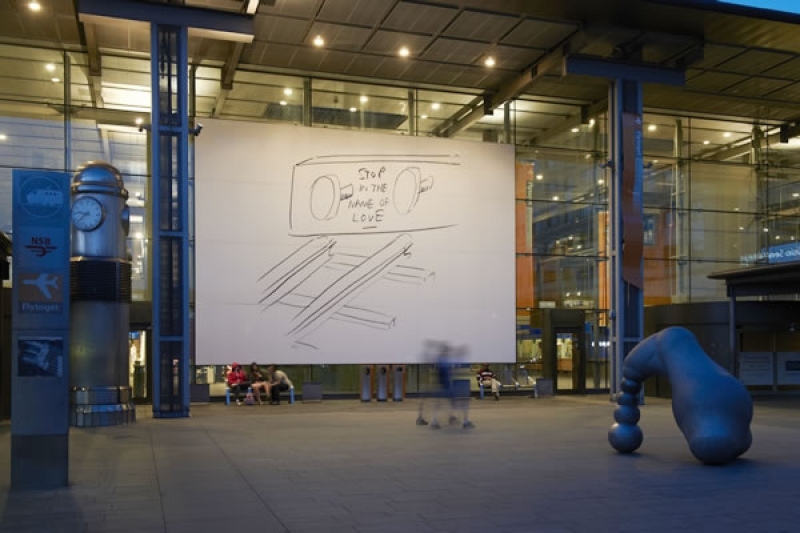 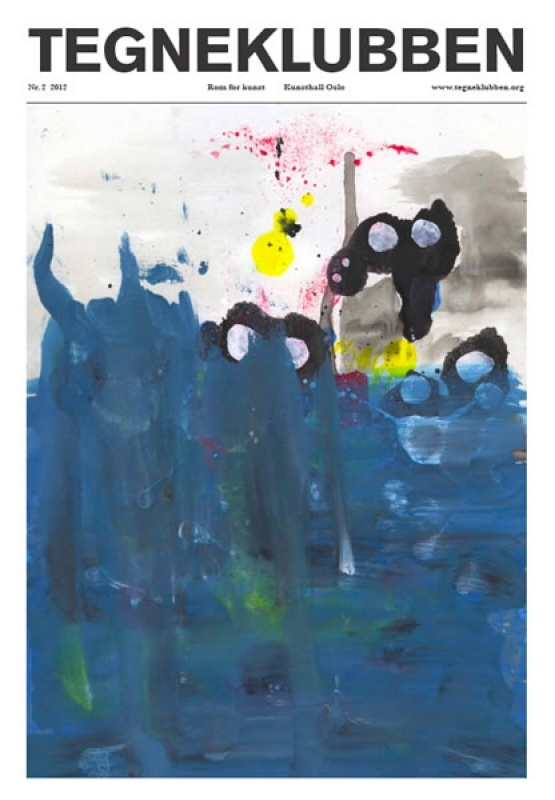 From June 21st until August 15th 2012, artworks by the Oslo-based group Tegneklubben (The Drawing Club) will infiltrate Oslo's Central Station. 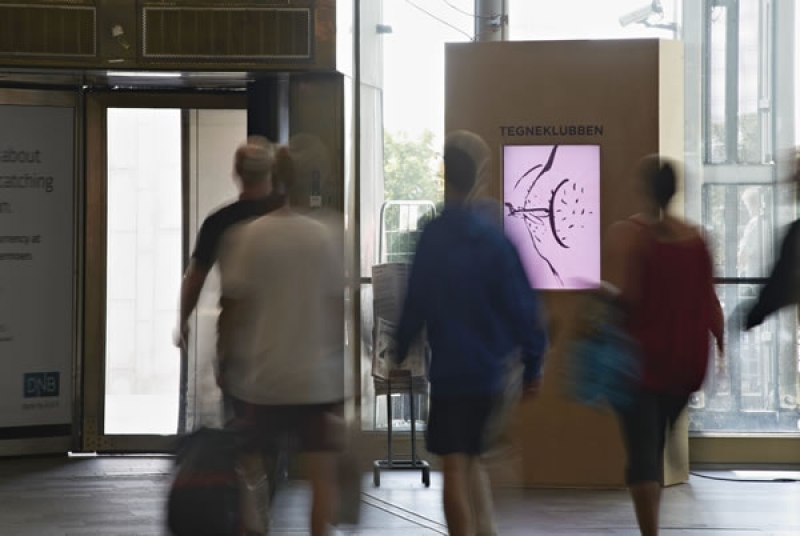 Tegneklubben will temporarily rebrand the station with a new logo on the façade and a banner-sized drawing over the southern entrance. 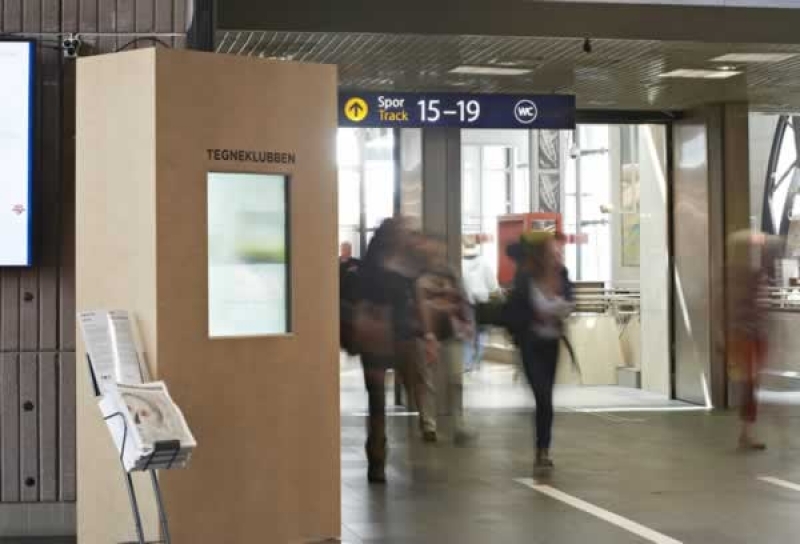 Inside, you can pick up the latest edition of the free Tegneklubben newspaper to read on your journey, or view hundreds of drawings on three screens on the station concourse. 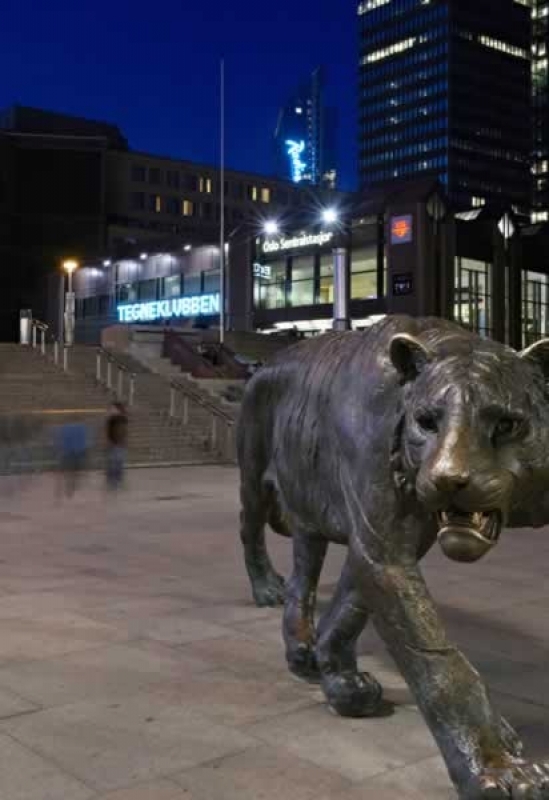 And if you want to find out more about them, you can visit their booth inside the station.